We’ve Now Opened A Shop! 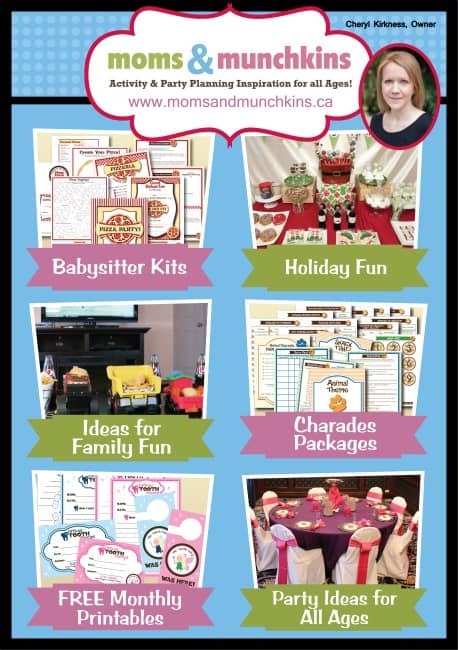 Yes, that’s right – Moms & Munchkins has a new shop! We’re excited to announce that we’ve opened an Etsy shop for printable games for family fun. In our grand opening, we’ve included charades packages and babysitter activity packs. We have so many plans for other items so stay tuned! I’d like to give a HUGE shout out to the fabulous Denise of The CreativiDee Workshop for taking my ideas and making them beautiful! Denise is the creative genius behind our free printables for the monthly newsletter. Be sure to visit her site for loads of printables for family fun and organization. Yes, she also takes custom orders! The shop will be a place for printables for family fun and party printables for your not-so-average parties. I don’t want to give away too much yet but I have some really fun ideas for family parties, ladies night and some little-known holidays. I can’t wait to share them with all of you! For our grand opening, we’ve started with some Charades Packages that each include 10 printable charades games, a page of themed snack suggestions and a menu card. These are great for your next family fun night, birthday party, holiday celebration and more! 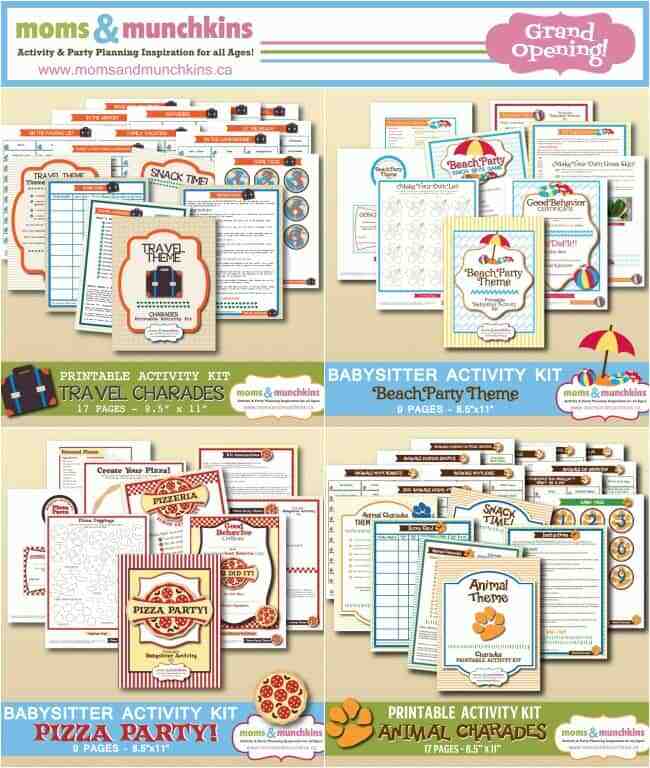 We also have Babysitter Activity Kits that were designed with babysitters in mind but are also perfect for family fun. These babysitter activity kits include printable games, coloring pages, activities, certificates and other fun ideas for entertaining kids. Thank you so much for your ongoing support and I look forward to sharing more family fun ideas with you soon! Check out our ad and all the other fabulous party planners & designers in the Bird’s Party Holiday Guide!